QS-68C1 – 1 Qt. 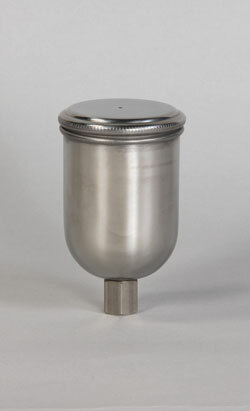 QualSpray™ Aluminum Cup for siphon feed and pressure feed guns with standard 3/8″ fluid inlet. 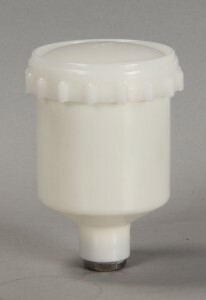 Feature cam-lock and non-drip air vent with easy to clean inner splash guard. 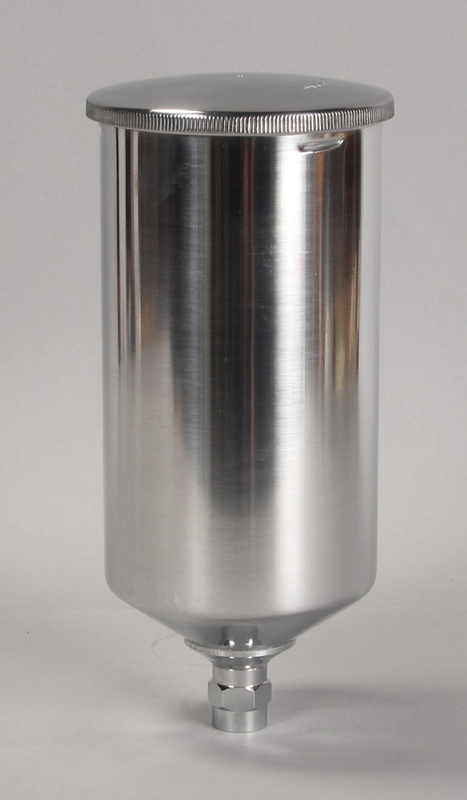 Good design at an economical price. 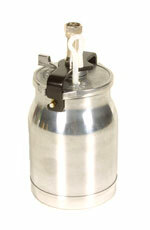 #45-1235 (Bedford Part#) – Non drip 1 Qt. 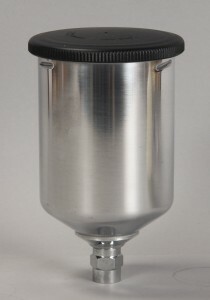 Aluminum Cup for guns with a 3/8″ NPS swivel fluid inlet. Exclusive directional vent tube assure non-drip operation and easy cleaning. 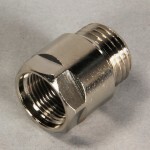 Leather gasket. Similar to Binks #81-350. 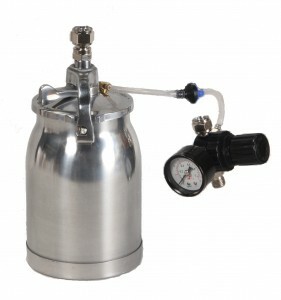 QS-32 – Pressurized 1 Qt. 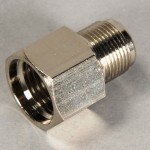 QualSpray™ Aluminum Cup for QualSpray AM-6008 and other pressure feed guns with standard 3/8″ fluid and 1/4″ air fittings. With air regulator and pressure regulator for cup pressure. 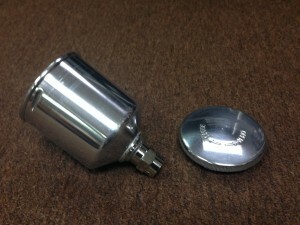 With this setup, you can spray thicker finishes with less thinning, and get faster delivery rates and fan patterns. 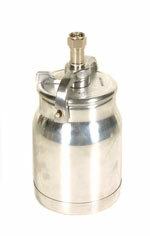 It installs easily and allows you to adjust cup pressure. 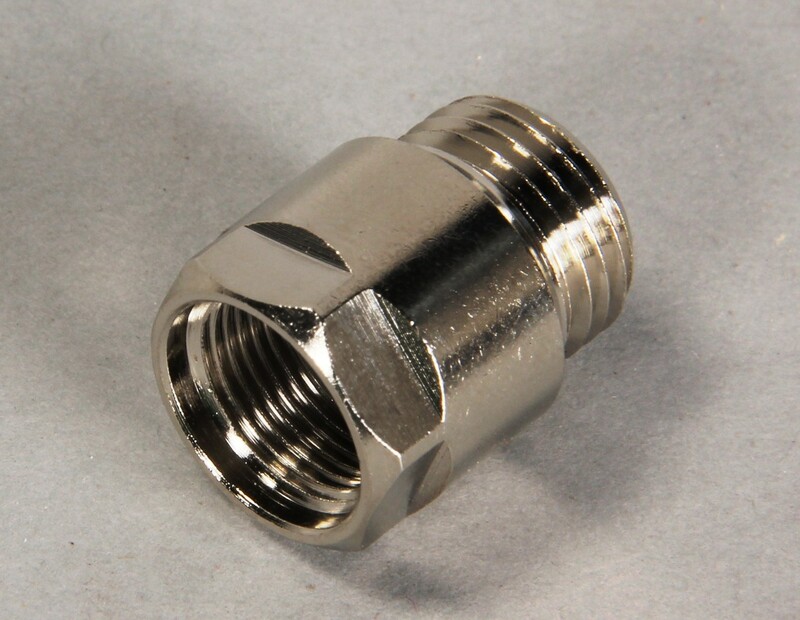 Will fit any gun with a standard 3/8″ threaded material inlet and 1/4″ air inlet. 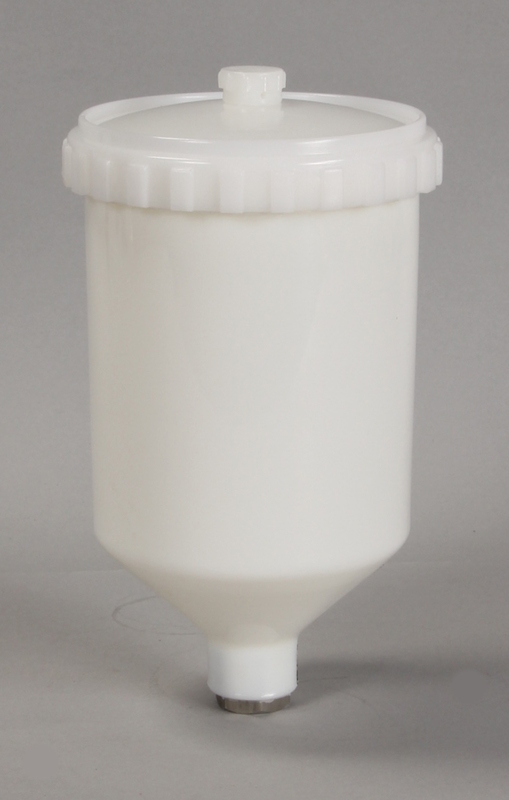 #QS-125NYC – 125 ml nylon cup w/ screw top – $25.00 (Fits most gravity guns with a female M14 x 1.0 thread-on cup). 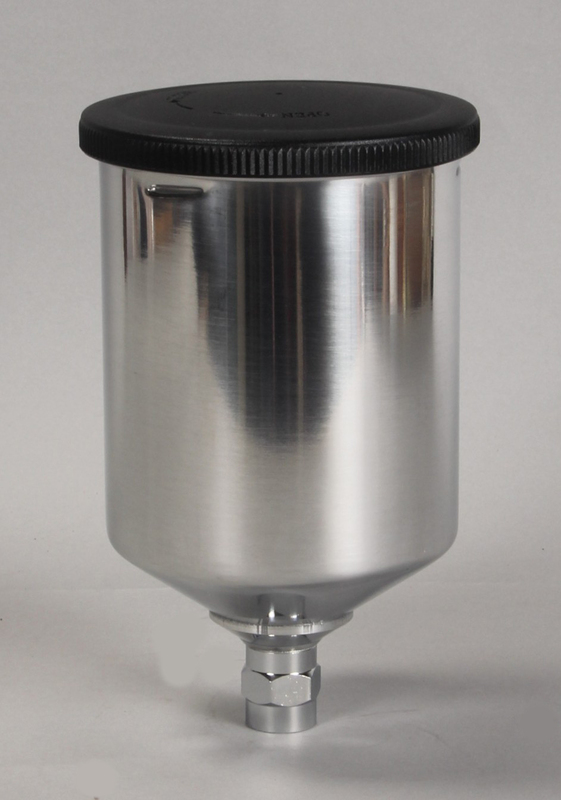 #QS-200SS – 200ml all stainless steel cup w/ friction style lid – $30.00 (Fits most gravity guns with a female M14 x 1.0 thread-on cup). #QS-2004C – 400ml polished aluminum cup w/ screw in lid (contains gasket) – $28.00 (Fits most gravity guns with a female M14 x 1.0 thread-on cup). 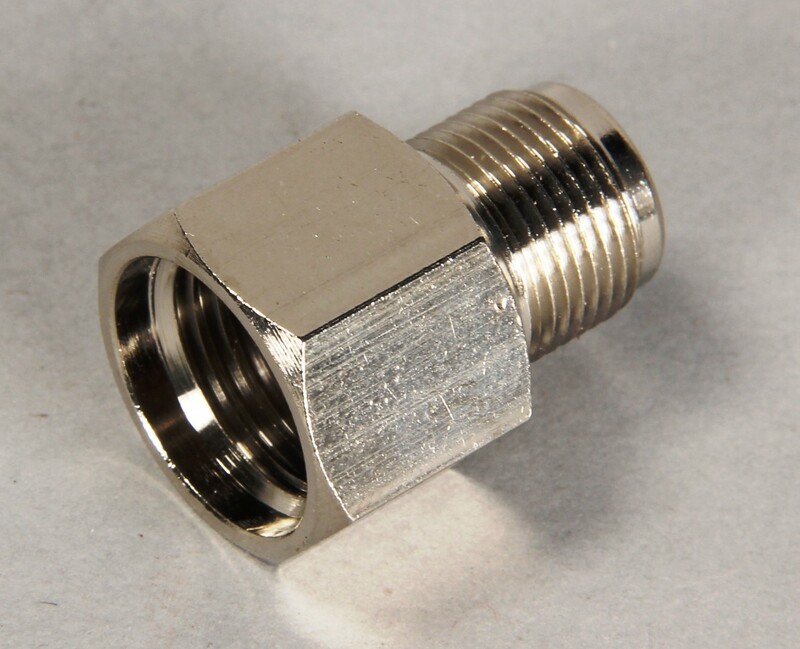 Use these adapters to adapt threading on small detail guns to accept larger cup sizes and large guns to accept small cups.